Six government school teachers in the city have got the 'Fulbright Teaching Fellowship'. The selected ones will join teachers of 40 different countries at Washington. New Delhi: Six government school teachers in the city have got the 'Fulbright Teaching Fellowship'. The selected ones will join teachers of 40 different countries at Washington. 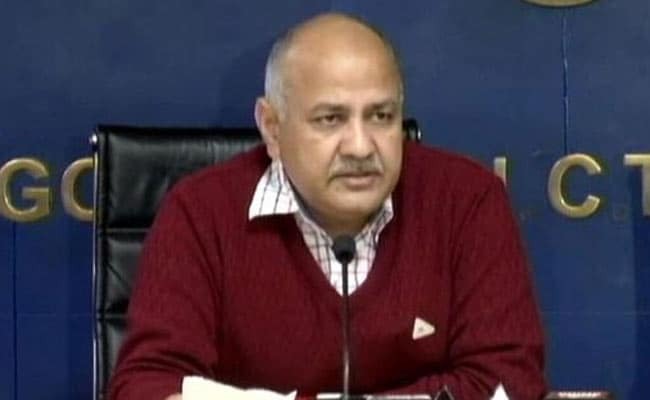 Deputy Chief Minister of Delhi Manish Sisodia, who also holds the education portfolio, congratulated the selected teachers. Sponsored by the United States-India Educational Foundation (USIEF), this program takes teachers to the US for a semester. For international teachers, this professional development program is open to teachers from Bangladesh, Botswana, Brazil, Finland, Greece, Kenya, India, Indonesia, Israel, Mexico, Morocco, New Zealand, Philippines, Senegal, Singapore, Taiwan and Uganda. 6 govt school teachers hv got prestigious 'Fulbright Teaching fellowship' for their work in Education. They're going to join teachers from 40 countries at Washington. Teachers holding bachelor's degree with at least five years of full-time teaching experience are eligible to apply for this program. For the current year, online application process has begun for the program. The application process deadline is 1 March 2018 and the notification of finalists will be released in September. The six teachers who have received the fellowship include Manu Gulati (English), Anju Pathak (Mathematics) and Deepti Chawla (English) among others. These teachers from Delhi are the only Indian teachers who have been chosen for the programme. They will travel to the US to attend special programs at various universities. "These teachers will receive intensive training in teaching methodologies, lesson planning, teaching strategies for their home environment, teacher leadership, and the use of instructional technologies," an official statement said. Earlier this month at the 65th Central Advisory Board of Education (CABE) meeting, Manish Sisodia had suggested that the CBSE, NCERT and other state education bodies reduce the syllabus by 50 per cent. "The time has come when all the education ministers put their heads together to assure the country that they will bring the solution of terrorism through education. We will bring the solution of terrorism and global warming through education. Until now we have been using education as a tool to reduce poverty or provide employment and eradicate poverty and have found ourself successful to a large extent, but we have never used education as a tool to solve problems like terrorism," he added.